Trafalgar Square is one of London’s dead zones when it comes to dining options. With the surrounding area catering to a crowd consisting largely of tourists, you can either settle for a chain restaurant or hop on a tube to somewhere more promising. 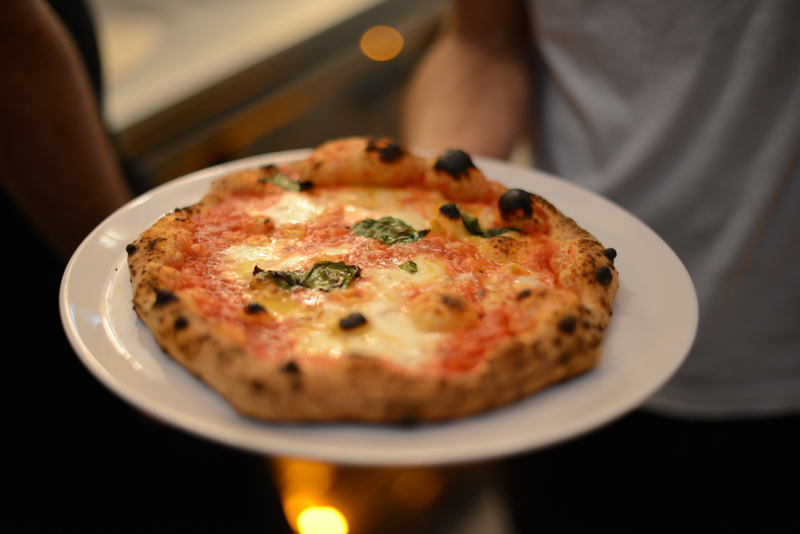 Nestled on Northumberland Avenue, Bianco43 is a chain of sorts, with sister branches in Greenwich and Blackheath, but crucially, its wood-fired pizzas are a cut above those found in the high street mainstays. Boasting crusts of authentic Neapolitan stretch and bounce, we were pleasantly surprised by our pizzas, having been roundly underwhelmed by a sterile plate of antipasti. 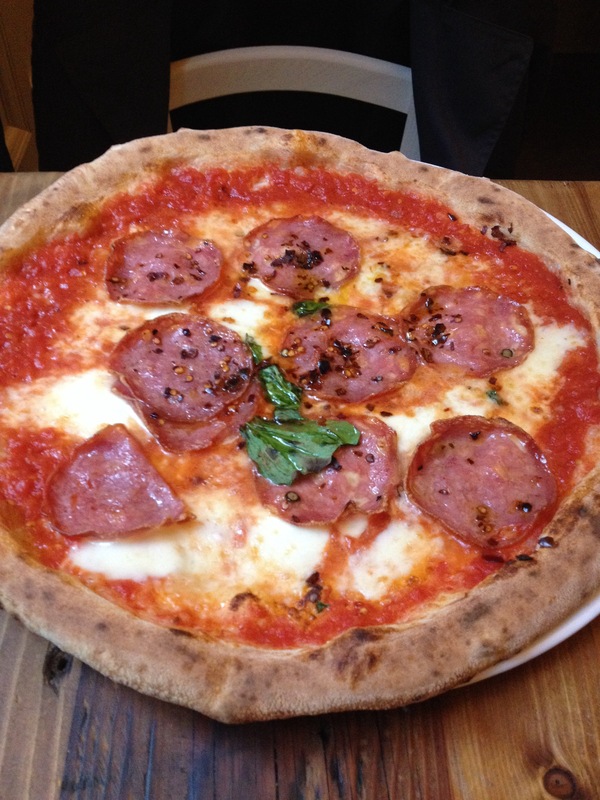 The Diavola was a real treat, the spicy salami boasting enough kick and flavour to work as the lone topping on a traditional Margherita base. The Romana (confusingly named, given its traditionally Neopolitan toppings of anchovies, capers and black olives) was a touch on the salty side, but given that we were sharing the two, it worked as a pleasant counter-punch to the Diavola’s chilli hit. Prices clock in around the £10 mark, which compares well to Pizza Express, Strada et al, and while the dining room is a little impersonal, it makes for a nice break from the mania of the nearby competition. All in all, a good pitstop in the centre of town, and a more than reasonable slice in what could easily be operating as a cynical tourist trap. This entry was posted in Central London, Uncategorized by thelondonpizzablog. Bookmark the permalink.